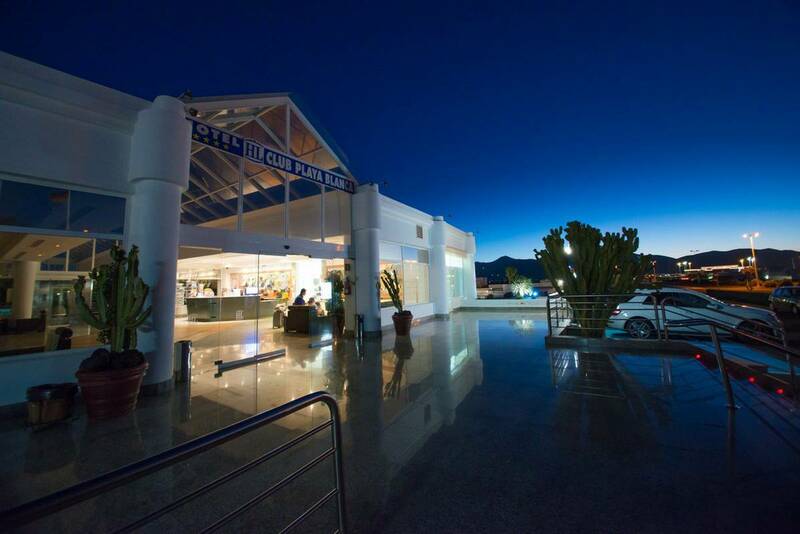 HL Club Playa Blanca is located in a quiet area of Playa Blanca, close to local attractions such as Playa Blanca beach and Dino Waterpark. This family-friendly all inclusive hotel features a wide variety of leisure amenities to make your stay enjoyable. Soak up the sun on a lounger, or take a dip in one of the two swimming pools. Retreat to the reading room and immerse yourself in a book, treat yourself to a massage, or relax in the Jacuzzi whilst the kids are playing in the activities club. 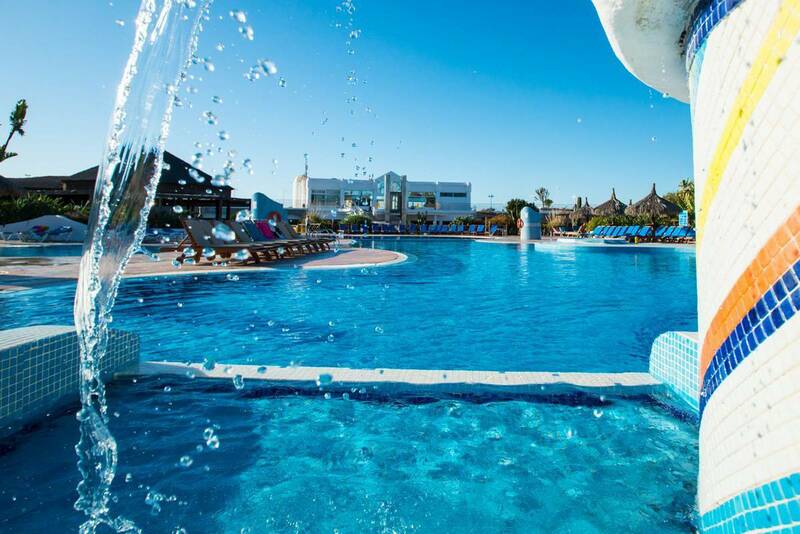 Play a fun game of tennis or splash around at the water park. Enjoy your own bungalow and unwind after a long day of fun in the sun. 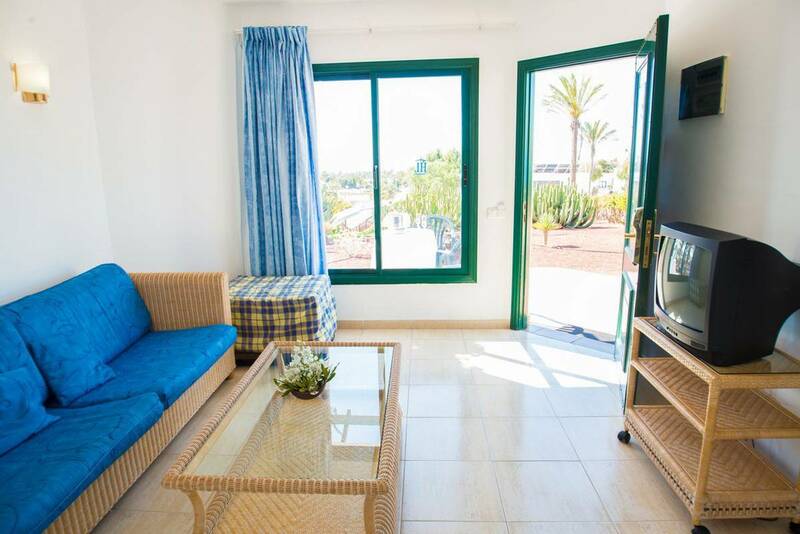 The spacious accommodation features a marine coloured decor and welcome touches such as a living room, kitchen with fridge, satellite TV, air-conditioning, and your own private terrace. During the day fill up on snacks and indulge in cocktails from the poolside bar. 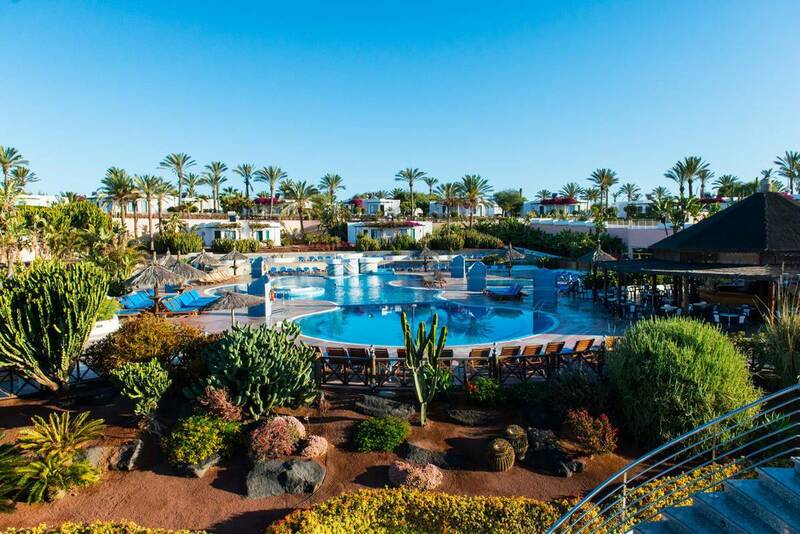 Tuck into buffet-themed meals including Asian, Mexican, Canarian, and Italian cuisine for dinner, and take part in quizzes or watch a show as part of the evening entertainment. 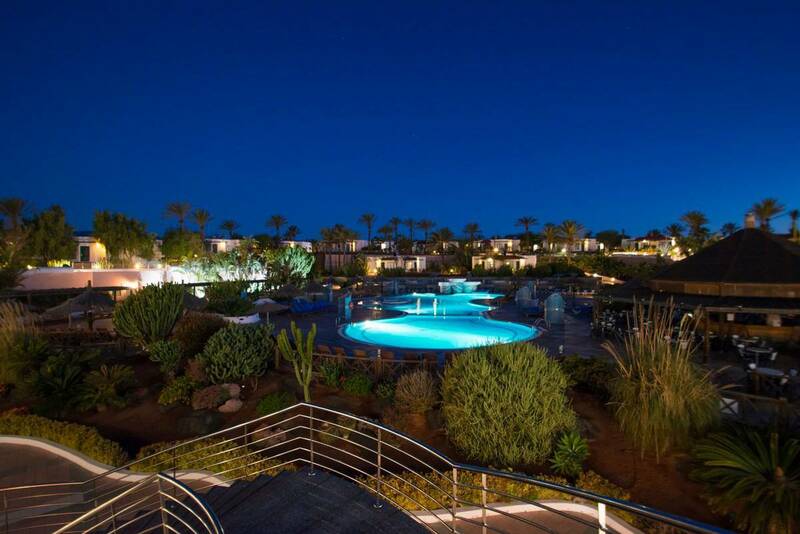 Discover why HL Club Playa Blanca is a popular place to stay for Lanzarote holidays. HL Club Playa Blanca offers plentiful facilities, including: two outdoor swimming pools, childrens pool area, local water park, sun terrace with sun beds and parasols, pool bar, restaurant, cafeteria, reading room, TV room, complimentary Wi-Fi, supermarket, disco, entertainment, sports, playground, spa, transfers, complimentary parking, 24-hour reception, and gardens. On-site sports and activities include: tennis, table tennis, pool table, kids club, playroom, and playground. Local water park, Dino Park, is located in the neighbouring hotel and you can book a daily pass. The park offers activities and water games, slides, relaxing areas for sunbathing, and all types of entertainment for all age groups. 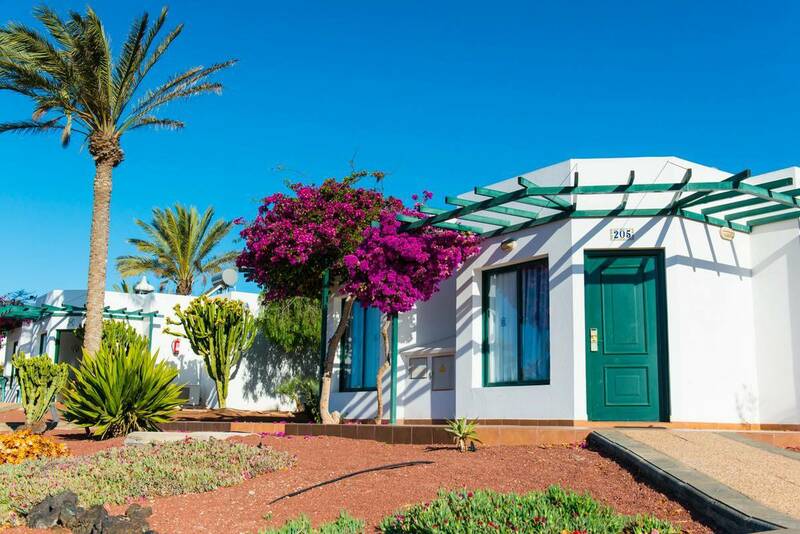 This Playa Blanca hotel has modern guest bungalows with one of two bedrooms. Bungalows feature a living room, bedroom, sofa-bed, separate bedroom, small kitchen with fridge, microwave, and water heater, telephone, satellite TV, bathroom with WC and shower, hairdryer, air-conditioning, safety deposit box, baby cots, wakeup-call service, telephone, and terrace. 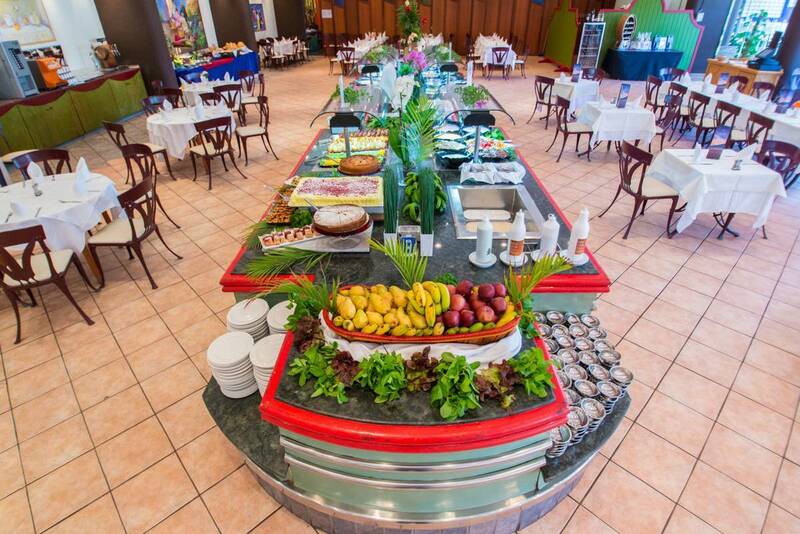 The main restaurant serves buffet-style meals, with local and international dishes on the menu; show cooking and themed nights such as Asian, Mexican, Canarian, and Italian add to the culinary treats. There is a poolside snack bar and bar to grab snacks and drinks during the day and evening. Quizzes, shows, and professional acts are amongst the frequent evening entertainment plus there is disco for late-night dancing.